Why Not the Germans and Italians? Today, Martine and I returned to the Skirball Cultural Center to see their new exhibit of Ansel Adams photographs of the Manzanar Relocation Center for Japanese-Americans during Wold War Two. In 2010, we had traveled to the Owens Valley to visit the Manzanar site, midway between Lone Pine and Independence. It was there I photographed the above rather disgusting display image. Manzanar now has an interesting visitor center which is worth a stop on the long highway between Los Angeles and Reno. In addition to Ansel Adams’s work, there are a number of photos by Dorothea Lange and others, as well as interesting documents relating to the “evacuation” and the maintenance of a system of concentration camps throughout the American Southwest. 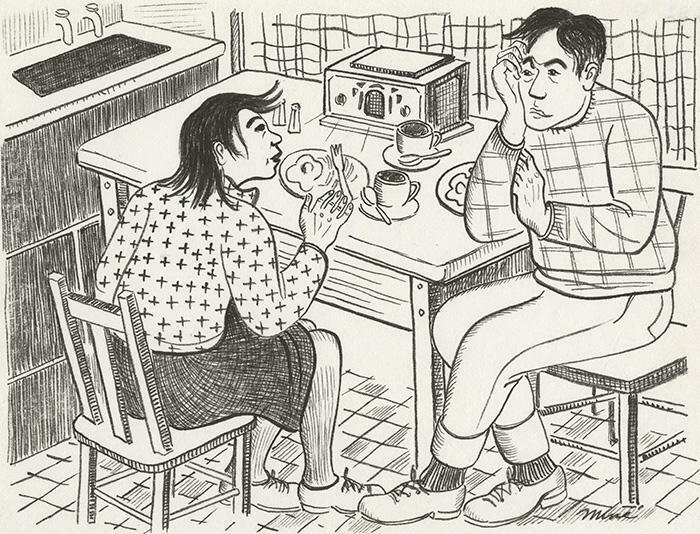 Down the hall, there was a smaller exhibit of artwork by Miné Okubo, who published a book of sketches called Citizen 13660 about her experiences at the Tanforan and Topaz War Relocation Centers. 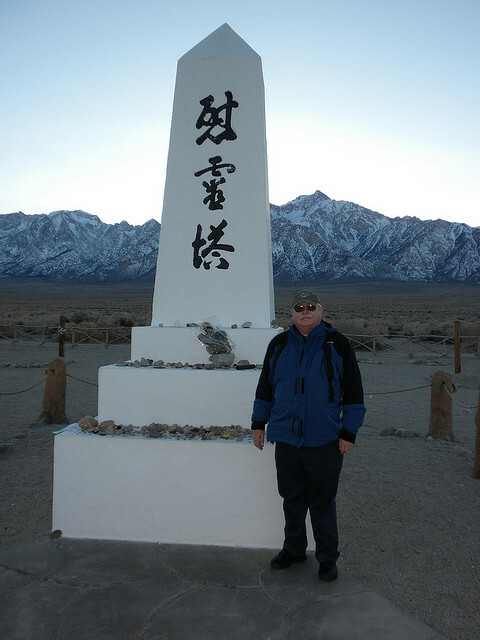 Below is a photo of me taken by Martine at the monument to those who died at Manzanar, in lieu of individual headstones. 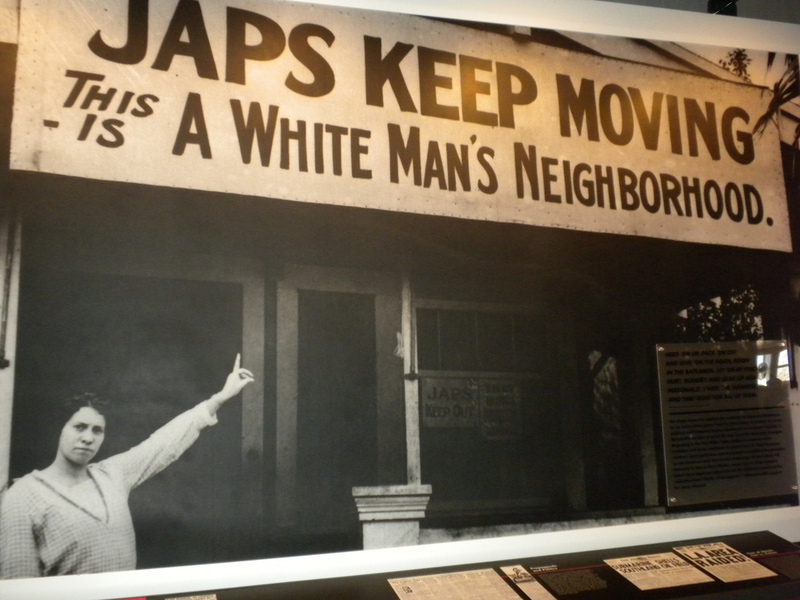 This entry was posted in history and tagged manzanar, skirball-cultural-center. Bookmark the permalink.